Licensed Solutions have, during the last twenty years, been involved with more than 2,000 hotels, public houses, hotels, restaurants, night clubs and leisure outlets both on an individual basis and with Chains or Groups .They have collaborated with Banks, Building Societies, Insolvency Practitioners, Accountants, Solicitors and Private Clients, providing feasibility studies and business reviews, management teams and a wide range of leisure and licensed trade services. The complex nature of the hotel sector, with its requirement for effective capital investment, consistent levels of marketing expenditure and a relatively high cost base, provides a real challenge for even the most seasoned operators. When the time came for Licensed Solutions to take over the running of the 6 Delight Hotels their first challenge was to cut as many costs as they possibly could, starting with their Utility and Telecoms bills. Licensed Solutions Ltd had taken over the running of 6 hotels within the Delight Hotels Chain. 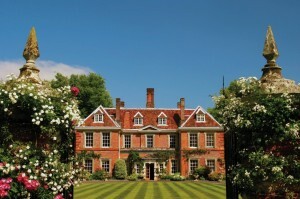 These hotels were set across the UK and some included Spa facilities within the grounds. Their objective on taking over the hotels was to ‘Run the hotels to the best of their ability and to make them profitable for the foreseeable future’. To assist their vision, Licensed Solutions needed to outsource their Energy and Telecoms Procurement to a supplier they could trust to act in their best interest and to manage all outsourced responsibilities. Energy Procurement was able to source the best price for both Gas and Electricity for all the hotels by gathering quotes from 24 suppliers across the country. The cheapest quoted price was then fixed for 2 years. This created a huge saving for all hotels especially those with Swimming Pools and Spa Facilities. Solution Consultants ICT also transferred the running of all telephone lines so that it was audited and any unused lines were cancelled. Hotel Wi-Fi, Front of house communications, including hardware and billing platforms for example account charging and PDQ Transactions were also required to be transferred and integrated from several suppliers. Solution Consultants ICT continue to work closely with Licensed Solutions Ltd and their Hotels regularly. Costs are continually monitored to make sure that the hotel is running efficiently. Solution Consultants ICT continue to manage all procurement of Telecoms and Utilities across these hotels.